Acid Dad first appeared in the New York scene at the outset of 2015. After spending the year self-releasing demos recorded at their studio in upstate New York, the band garnered local praise from the likes of Oh My Rockness, Brooklyn Vegan, Consequence of Sound and Stereogum. 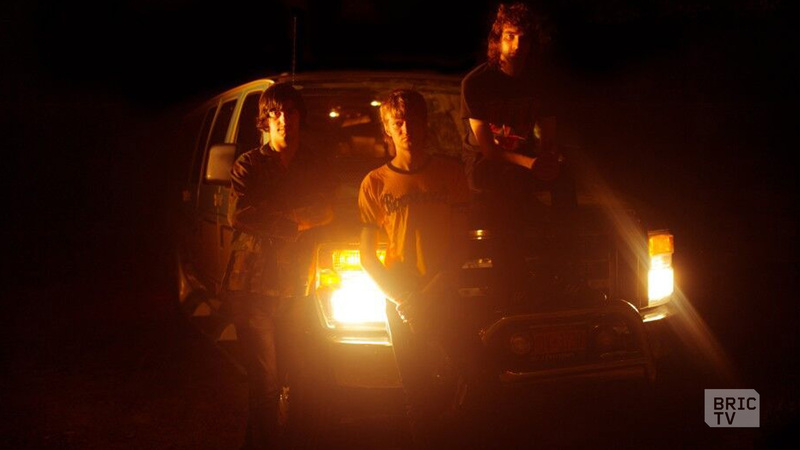 After releasing their debut EP “Let’s Plan a Robbery” in February of 2016, followed by their first sold out show at Baby’s All Right, Acid Dad embarked upon a two month tour of the United States. Fresh off their first tour, which included numerous SXSW performances as well as appearances on Daytrotter, Audiotree and Jam in the Van, the band headed straight back to work in their upstate New York recording studio. While recording, Acid Dad continued to play one-offs alongside their contemporaries including Thee Oh Sees, Diarrhea Planet, Night Beats and White Reaper. At the outset of 2017 the band began writing, demoing and recording with the intention of creating their debut full length. Now part of the Greenway Records family, the album is slated for a Spring 2018 released followed by a world-wide tour.